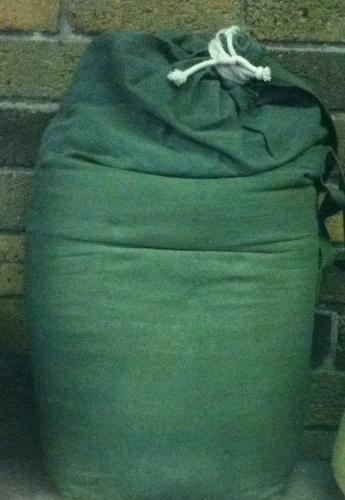 Khaki green canvas free standing bag for iron palm training. Can be filled with beans, rice, sand or gravel. Bag measures 90cm x 50cm unfilled. For iron palm training, fill the bag 1/2 to 2/3 full and sit on a sturdy table.